EVA TOOL CASE; The EVA Tool Case is made of premium Hard EVA to provide durability and a long-lasting performance. We’ve specifically designed the EVA Tool Case to fit your tools, so you can safely transport it anywhere. 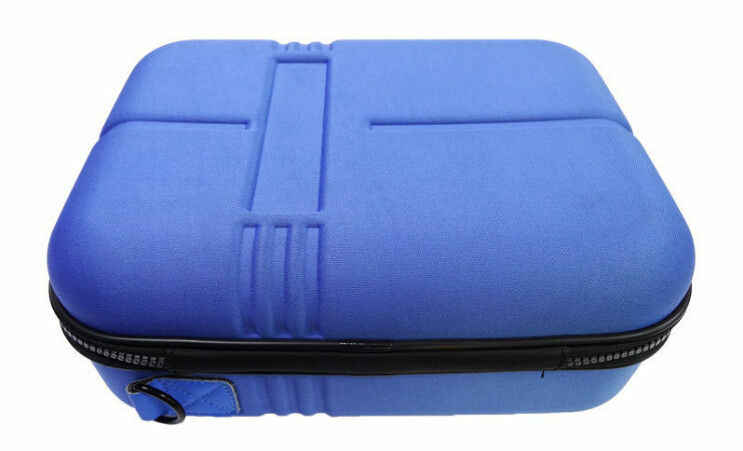 ACCESSORIES COMPARTMENT; this case is geared up with Separate compartment mesh pocket for accessories. 100% SAFE; It’s semi-waterproof, shockproof, Stylish and Durable. Guaranteed to prevent any damage to your case. HANDLE; Our Case features a Handle that allows for easy and convenient portability on the go. Stay comfortable & enjoy your favorite tunes! Pls feel free to contact us if you are intrested in our products! Nylon, the material is invented by ourstanding US scientist Carothers and his team, it's not only the first synthetic fibre in the world but a great breakthrough in the industry of synthetic fibre. until now, it is still the improtent materials in the bag & luggage industry. Originated used for auto tire and military bulletproof lining, along with the long time development and improvement, it is prevailed using in the fields of military products and high rank outdoor products. Suitable for outdoor products, thinner than 1680D. PU, one of artifical leather, the best subsititution of PVC. Black clor EVA is normal choice for case, bage and box etc.